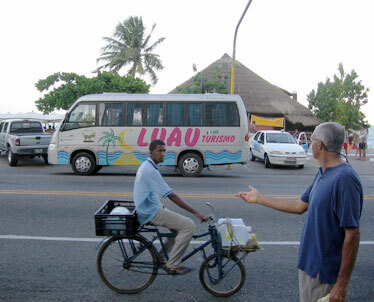 Mary Bergmann of Kailua took this shot of her husband, John Young, pointing out a luau van while passing through Maceio, Brazil. Bergmann wrote that they also enjoyed hearing Jack Johnson's music playing at their hotel in the fishing village of Praia do Forte. 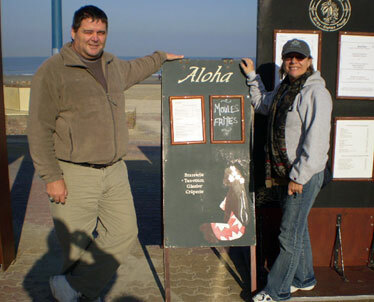 Walter and Shelley Brennan, formerly of Maui, took this shot of themselves at the Aloha Craperie, on the French coast between Calais and Belgium. 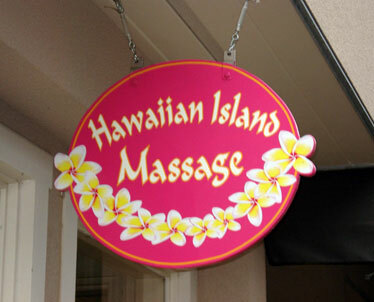 Ryan Tatsumoto found Hawaiian Island Massage in Langley, Wash., which is on Whidbey Island.